Last week, I wrote on one of the several exceptions contained in Colorado's non-compete statute, which presumptively voids restrictive covenants. That exception permitted reasonable non-competes to protect trade secrets, a curiously worded exception which could swallow the entire rule with some artful contract drafting. 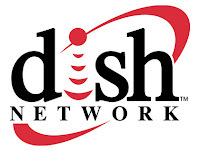 At issue in DISH Network v. Altomari was a trial court's ruling which refused to apply this exception to a communications director for DISH Network who supervised about 50 employees. Altomari signed a non-compete in connection with the issuance of stock options and sought to leave for DirecTV, a competitor specifically named as a prohibited entity in the non-compete clause. The trial court made certain factual findings that Altomari was a mid-level manager and that he had definite management responsibilities. However, it found that he was not the type of management personnel contemplated by the statute. The Court of Appeals of Colorado reversed, finding the trial court erred by not applying the plain meaning of the legislative exception. The court noted that the General Assembly chose not to define the term "management personnel", and that this required it to apply the term according to its plain meaning. The court then concluded that because the trial court found Altomari to be a mid-level manager vested with decision-making autonomy, he qualified as "management personnel" under the statute. Other states have gone further than Colorado in defining key employees who are otherwise subject to non-compete arrangements, though sometimes this seems to add to the confusion. In Altomari's case, DISH Network showed he had enough autonomy and controlled enough decisions to fall within the legislative exception.